Picture the scene: a crisp early-spring Saturday morning in Wapping, the lights of Canary Wharf visible in the distance, the crowd expectant. 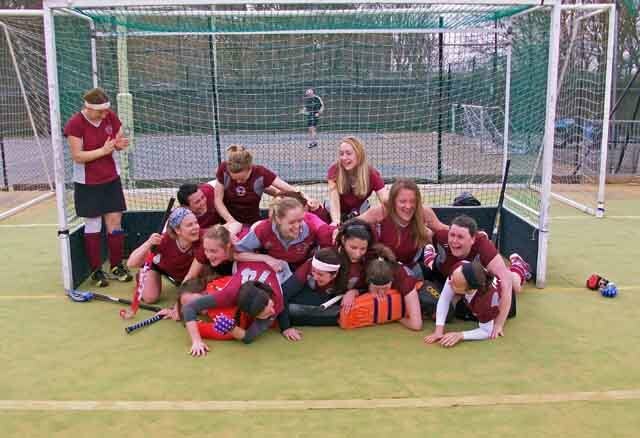 The Wapping Ladies 5th XI have enjoyed a spectacular season and have already secured promotion to Essex League Division 3 on the back of a series of tremendous performances. Only one hurdle remains: they need to defeat Redbridge in their final game in order to finish the season as league champions. Could this victory be achieved? Are they mentally on their holidays with promotion already in the bag? Could we take photographs with the wind nipping our fingers? All would be revealed in the next few hours. The ladies gather at an extraordinarily early hour for our liking. Dedicated to the last, they arrive a full hour before push back. The limbering and stretching begins in the confines of the changing area before they have even taken the field. What will such conscientious individuals choose for their pre-match meal? Chicken and beans like Alan Shearer maybe? No: it’s Cadbury’s Cream Eggs all round, courtesy of one of the players. Our shock abates in time to receive delivery of a spare egg to keep us going during what will surely be a tense match. The team finally take to the pitch to begin a warm-up that can only be described as ‘vigorous and focussed’. Preparations are comprehensive: a pep talk, followed by training drills the like of which we haven’t seen since playing rugby against private schools in the early 1990s. There’s no messing around here: if the match is to be lost it won’t be down to lack of preparation. Word spreads that the opposition have brought a few ringers with them. Very poor form but unsurprising at this stage of the season. Rather than let this put them off this news simply serves to focus the minds of Wapping Ladies still further. We get the feeling that nothing will come between them and their objective today. the dedication is there from Wapping but the occasion seems to be getting to them. With the league title so close the players are a little on edge, passes are going astray and frustration reigns. We're amazed at the respect shown to officialdom: there is no aggressive debating of decisions and no trash-talking with the opposition, important and healthy features of men’s football. At half-time the score is still 0-0, with chances at a premium for both teams in a tight first-half. This is where the Wapping captain and coach earn the big bucks. They have to rouse the troops for one final push and it works: after a speech that was later described as a cross between Winston Churchill and Malcolm Tucker, the team springs to life. Two second-half goals without reply see Wapping crowned champions and the team cavort gleefully around the pitch, singing songs and attempting to give the coach the bumps. The team returns to base eager to find out how the club’s other sides had fared. As it turns out, this has been a very successful season for all concerned. 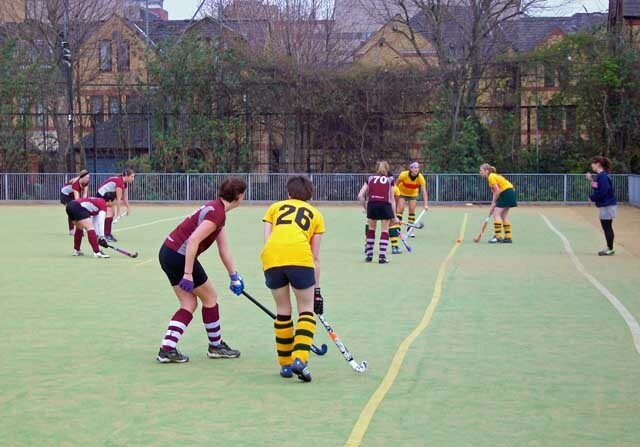 The first team finished second in their league and were promoted; the seconds were shortlisted for Team of the Year by England Hockey, the national governing body; the thirds are awaiting confirmation of promotion to the Essex Premier Division; and the fourths could also be promoted, with a restructuring of their league in process. Well done to all concerned and here’s to bettering these achievements next season. We want to hear from other amateur sports teams around the capital. Whether you're top dogs or hapless clowns, get in touch via londonist - at - gmail.com.